Optimizing Pinterest Pins- Social Media | Anvil Media Inc. I attended SearchFest last week, and walked out with a ton of great session notes from all of the wonderful speakers. Megan Rivas (@meganlrivas) from AimClear did a great presentation on visualizing social. 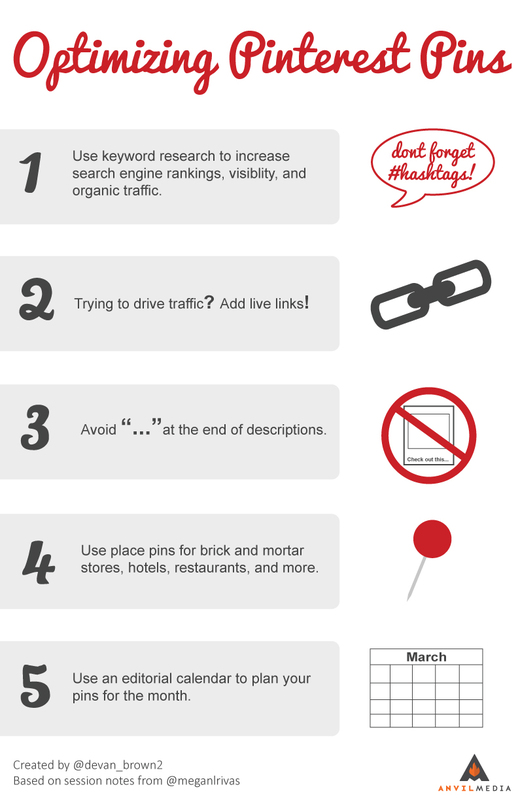 Below is an infographic based on her piece about optimizing Pinterest pins.